Placards left by protesters outside of Houses of Parliament. Labour MP Kate Hoey has said Prime Minister Theresa May will have “no legacy” if she does not deliver some form of Brexit by the end of March. Ms Hoey, the MP for Vauxhall, told talkRADIO’s Mike Graham: “If the Prime Minister does not deliver Brexit in one form or another by the end of March, she really has absolutely no legacy whatsoever. Ms Hoey descrubed Theresa May of “shafting” Northern Ireland over the backstop, after the DUP rejected the Prime Minister’s new measures published on Wednesday. “I think unless something genuinely changed in terms of the legal mandate on the backstop, I can’t see the DUP changing their views on it,” she said. “They are very angry because they feel that she has – putting in crudely – shafted Northern Ireland. “What she is trying to do, even to people like myself is that if you don’t vote for this deal we might not get Brexit. The only way we won’t get Brexit is if the Government decide to support changing the law. 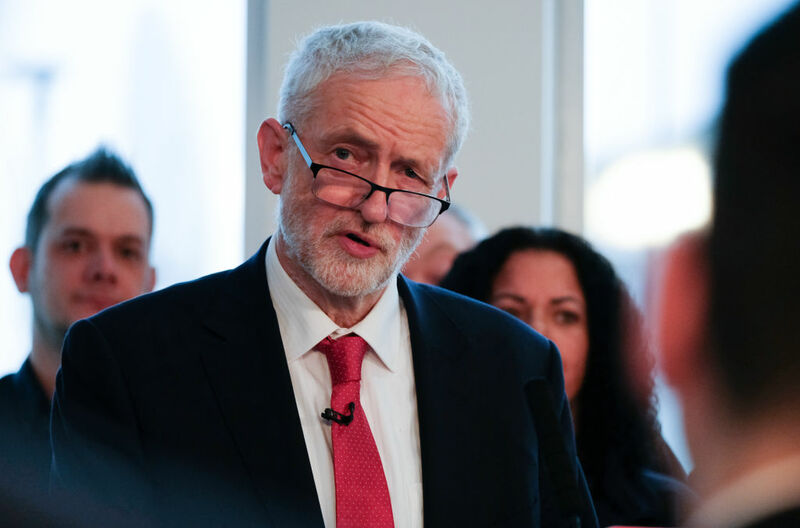 Labour leader Jeremy Corbyn has called for a General Election to 'break the deadlock' over Brexit. On Thursday, Labour leader Jeremy Corbyn called for a General Election to “break the deadlock” over Brexit, but Ms Hoey does not think it would change the situation. “There is a majority of MPs in Parliament who voted to Remain and have not changed their minds,” the MP for Vauxhall said. “They may say that they want to honour the referendum but they have everything possible to stop that. “I don’t think Labour genuinely want to stop Brexit but of course, they are in opposition so there is this confusion sometimes between being in opposition and opposing things for the sake of it. “Jeremy Corbyn wants a General Election and he will do anything he can to get that. The confusion and difficulty over Brexit is making it more likely in his view to have a General Election. 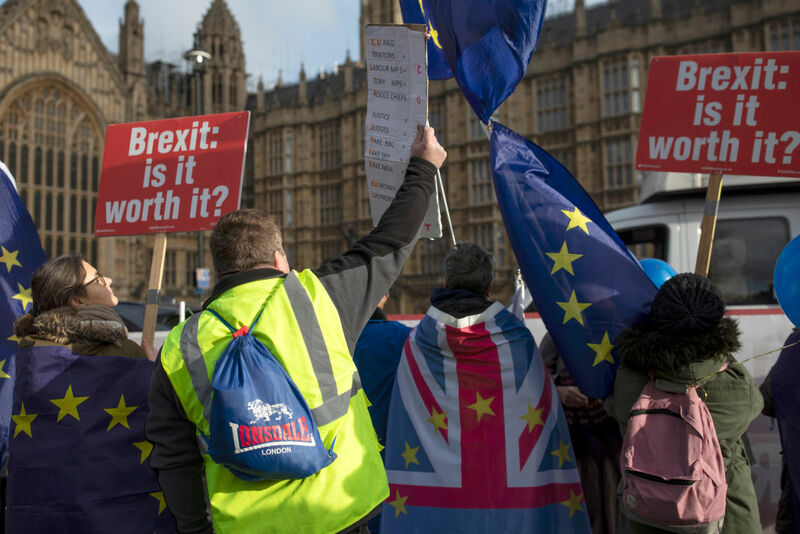 Both pro and anti-Brexit protesters outside the Houses of Parliament on January 9, 2019. Speaking about how Parliament had handled the debates around Brexit, Ms Hoey described it as “shocking”. “I am genuinely very ashamed of what is happening in Parliament and I think it is quite shocking,” she said. “It is more than just shocking, it is dangerous because I have never seen such a lot of anger and that feeling that people are being let down or not being listened to. “I know 48% of the country voted to Remain but I believe that the vast majority of that 48% don’t like what is happening because we were told that this was going to be a final vote.